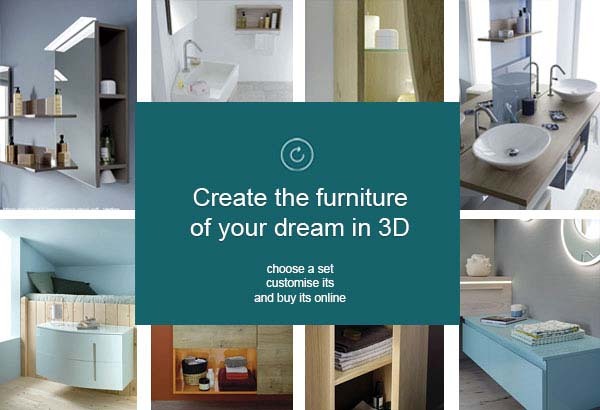 You can save time and discover all of the possibilities offered by Sanijura for creating your bathroom furniture in just a few clicks. Then confirm your project with one of our resellers. Choose your range and furniture. Configure your furniture in 3 stapes (dimensions, material, color table, basin, ...). Save your 100% personalized furniture. Go to Sanijura reseller to command your creation.